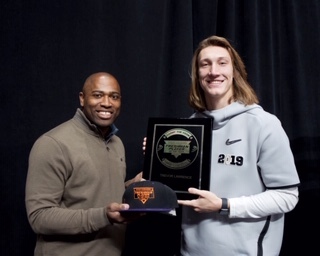 Shaun Alexander, namesake of the FWAA’s Freshman of the Year Award, and the award’s first winner, Clemson quarterback Trevor Lawrence. 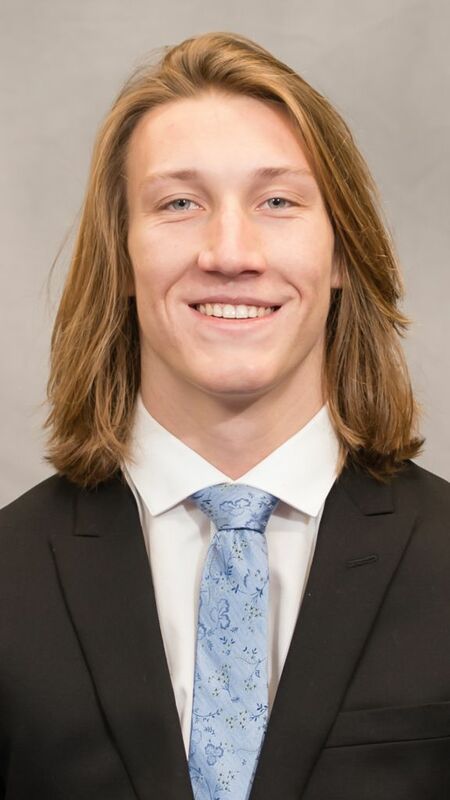 Editor’s Note: Clemson quarterback Trevor Lawrence was named the first annual FWAA Shaun Alexander Freshman of the Year at the FWAA’S Annual Award Breakfast on Jan. 7 at the San Jose Marriott in conjunction with the CFP National Championship Game. When Shaun Alexander became the namesake of the FWAA’s Freshman of the Year Award several months ago, the Alabama and NFL star was honored. But he also felt like it was something bigger than just an award. He believed the honor and its influence would touch many great athletes and families as they all traveled their sports and life journeys. His involvement with the players could become an immense help to others and would be a natural fit for him, just like the day in the fourth grade he decided to become a running back after returning two kickoffs (and nearly a third) for touchdowns. Durran, who later became a drummer in the famed Notre Dame marching band, probably thought he was just answering a question for his younger brother. But it turned out to be solid career guidance for Shaun, who became the all-time leading rusher in the history of Boone County (Ky.) High School, Alabama and the Seattle Seahawks. Which is exactly why Alexander is thrilled to announce the FWAA’s first Shaun Alexander Freshman of the Year in San Jose. The winner receives a gold coin with the traits associated with the award displayed on one side: “Talent, Character, Ambassador, Legend, Faith, Passion, Focus, Leader.” On the other side of the coin, the phrases “Carry the Coin” and “Finish the Game”; are inscribed. “If this award is named after me, how can I add who I am to it?” Alexander said when he was pondering how to make the honor significant. Alexander answered his question by looking in the mirror. The winners each year will have Alexander as a resource for advice and guidance for the rest of their careers and lives. Alexander’s career is well documented. But almost every player on the 2018 FWAA Freshman All-American team was still in diapers when he permanently jumped into the national sports spotlight his freshman year at Alabama in 1996. For about 10 seasons – two at Alabama and eight in the NFL with the Seahawks – there were few running backs on the planet better than No. 37. No player in SEC history still has scored more rushing touchdowns in his junior and senior seasons combined – 32 – than Alexander did in 1998 and 1999. Alexander’s 28 TDs (27 rushing, one receiving in 2005) still ranks at the second best in NFL history and he’s tied with Priest Holmes (Kansas City, 2003) for the second most rushing TDs (27) in an NFL season. Alexander is the first and only Alabama running back ever to win the NFL rushing title (1,880 yards) in 2005. He was the first running back in NFL to score 15 or more TDs in five consecutive seasons. He, Jim Brown and Jerry Rice are the only players in history to score five or more touchdowns in a game in college and in the NFL, and Alexander is believed to be the only player to score five TDs in a game in high school, college, and in the NFL (all TDs in the first half of a 2002 Sunday night game vs. Minnesota). He was first Seahawks player ever to appear on the cover of Sports Illustrated. a freshman vs. LSU) and two Kentucky high school records. Alexander is in a select group of nine running backs to win the rushing title the same season they were named the AP’s NFL Most Valuable Player and AP Offensive Player of the Year. The others are Pro Football Hall of Famers O.J. Simpson (1973), Walter Payton (1977), Earl Campbell (1978-79), Marcus Allen (1985), Barry Sanders (1997), Terrell Davis (1998) and LaDainian Tomlinson (2006) as well as Adrian Peterson (2012). Alexander is the one of four former SEC running backs Jim Taylor (LSU/Green Bay), Emmitt Smith (Florida/Dallas) and Terrell Davis (Georgia/Denver) to be named the AP’s NFL Most Valuable Player. He’s also just one of two Alabama players (QB Bart Starr, Green Bay 1966) to win an AP NFL MVP honor. Through all the success, Alexander kept his perspective, his sanity and his faith. “When you finally become ‘the guy’ it happens so fast and is so big it can overwhelm everyone involved,” Alexander said. “My goals were to enjoy the moment, be thankful, still love the game, and get out of it still alive in life. Because of his strong religious faith that started with a solid foundation provided by his mother, Alexander has always had a servant’s heart. He established a foundation a month after his final college game, the 2000 Orange Bowl. His biggest post-career mission, besides home-schooling and raising his nine children along with his wife Valerie, is providing career and life advice to others, including a special place in his heart for athletes taking same roads he once traveled. It’s a major reason why Alexander is honored and eager to be the namesake of the FWAA’s Freshman of the Year. Alexander understands being a freshman in today’s college football is different than when he played. “Kids now are positioning themselves for high school like it’s college, trying to find the high school that best benefits their careers,” Alexander said. “They understand at an early age the sacrifice it takes to be great. The fact more and more incoming college signees are playing and starting as freshmen just speeds their thought process towards an NFL career after three years of college. “Because college football is so big with all the lights and constant media attention, kids are sometimes deceived that more players are going to make it to the pros,” Alexander said. “That number is still small. It’s an area of life that Alexander is eager to help winners of his freshman award navigate. “Freshmen are so young, they’re still teenagers,” Alexander said. “I got some help when I was young, but I would have loved to have had a little more insight on the field, off the field, how to handle fame, family, friendships, finances, and how to make plans for the future. And of the FWAA’s Shaun Alexander Freshman of the Year Award. 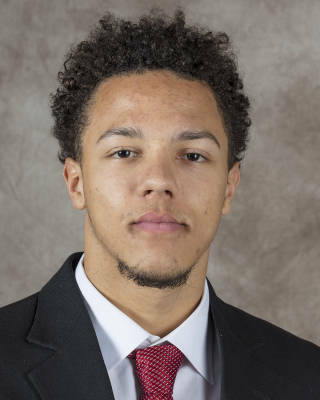 They don’t make people much tougher than Nebraska true freshman quarterback Adrian Martinez. When he was 10, Martinez’s mother Deanna died from cancer. When he sat out last season as a senior at Fresno (Ca.) Clovis West High recovering a torn labrum he sustained late during his junior football season, he served as player-coach tutoring the younger quarterbacks. “As good of an athlete as he is, he’s an even better person,” Clovis West coach George Petrissans said of Martinez. When Martinez exited this year’s Nebraska’s season opener against Colorado after suffering a knee injury while posting 304 yards total offense and three TDs in his college debut, Cornhusker Nation gulped. Martinez didn’t blink. Two weeks later, he was back in the lineup, and on his way to completing a season that ranks as one of the most spectacular debuts in Big Ten history. For consistently overcoming adversity, Martinez has been named the FWAA’s first Shaun Alexander Inspirational Freshman of the Year Award. “My sophomore season at Alabama, I had a mid-foot sprain which basically I dislocated my foot,” said Alexander, the Crimson Tide’s second all-time leading rusher from 1996 to 1999 who later went on to a phenomenal nine-year NFL career. “I hardly played, we went 4-7 and I was getting verbal jabs wondering if I had been lucky as a freshman or maybe I had a sophomore slump. “I got knocked down as a sophomore, but as a junior I was going to be the starter. I had the keys to the car. The first carry was coming to me. I scored five touchdowns in the (1998) season opener (against Brigham Young) in my first start. Martinez, who averaged 237.9 passing yards and 57.2 yards rushing, became just the sixth freshman FBS quarterback since 1990 to average 200 passing and 50 rushing yards. That prestigious group has a pair of Heisman Trophy winners, including Marcus Mariota. It was a comparison to Mariota that first brought Martinez to the attention of then-Central Florida head coach Scott Frost and quarterbacks coach Mario Verduzco. As Oregon’s offensive coordinator/quarterbacks coach, Frost had coached Mariota when he won the 2014 Heisman. “I just had this notion in my mind that he just reminded me of Marcus Mariota,” Verduzco said earlier this year after he recalled watching just a handful of plays of Martinez’s high school game film. Martinez was the top QB on the recruiting board for Frost and Verduzco at UCF. When Frost was announced as Nebraska’s new coach last December, his first call was to Martinez who had verbally committed to Tennessee. Even while Frost was preparing UCF for its bowl game, he flew cross-country to visit Martinez. One of the things that swayed Martinez to break his Tennessee commitment was Frost’s loyalty to stay and coach UCF for the bowl game. Though Martinez ran for 60 yards and three TDs on 14 carries in the Huskers’ spring game, he wasn’t named starter until late in fall camp. He was the first true freshman quarterback in Nebraska’s storied football history to start a season opener. In a tough rebuilding year for Nebraska as the Huskers finished 4-8 overall and 3-6 in Big Ten play, Martinez gave Nebraska fans hope for the future. In Frost’s no-huddle spread-option offense, Martinez had a school-record seven 300-yard total offense games and threw for more than 260 yards in seven league contests. He led Nebraska to at least 450 total offense yards in seven straight games, the longest streak in school history. Martinez also recorded three 400-yard total offense games (414 vs. Purdue, 441 at Wisconsin, 401 vs. Minnesota). One of his most impressive stats was completing 24-of-26 passes for 269 yards and three TDs in leading Nebraska to TDs on seven game-opening drives. Frost believes Martrinez’s best attribute is his desire to not be satisfied with status quo. Martinez’s patience and maturity, far beyond his years, should continue to serve him well. “Just the experience I’ve gained throughout this process I think has really helped,” Martinez said. “Just different situations and growing with my teammates and coaches. Really, to point back to the great people I’m around it really just helped me progress to this point. Shaun Alexander knows what it’s like to have a breakout performance on a football field. On a November 1996 Saturday night in a 26-0 win at LSU, Alexander went from a barely-used third-string Alabama freshman redshirt running back to recording the most yards rushing in a game in Crimson Tide history. His incredible numbers – 291 yards and four touchdowns on 20 carries – have remained as the gold standard in Tuscaloosa, Ala. No running back in SEC history has rushed for more yards in one half than Alexander’s 274 yards on 19 carries in the second half against an LSU defense that held many offenses down in that 1996 season. Purdue true freshman wide receiver Rondale Moore can appreciate Alexander’s sixth sense. Six times this year in Moore’s fabulous first season, he had 11 or more catches as he finished with an FBS-leading 114 catches for 1,258 yards and 12 touchdowns. He also set a school season record with 2,215 all-purpose yards, was named a consensus first-team All-Big Ten and All-American and won the Paul Hornung Award as college football’s most versatile player. His biggest show came on the brightest stage. The 5-9, 180-pound Moore caught 12 passes for 141 yards and two touchdowns in Purdue’s stunning 49-20 beatdown of then-No. 2 and eventual Big Ten champion Ohio State on Oct. 20. Add Moore’s two rushes for 24 yards, three kickoff returns for 49 yards and one punt return for 9 yards against the Buckeyes and it’s enough to be named as the FWAA’s first Shaun Alexander Freshman Breakout Performance of the Year. Alexander agrees with Ferentz’s assessment. Admittedly, Alexander and Moore took different paths to grabbing the national spotlight for the first time. In his senior season at Boone County (Ky.) High School in 1994, Alexander scored a mind-blowing 54 touchdowns, including 50 rushing scores. Yet when he reported to Alabama for the first time in the fall of 1995, he understood his place on the depth chart behind Dennis Riddle and Curtis Alexander (no relation to Shaun). “I was still 17 years old when I reported and there were grown men there,” he said. “I still thought I was better than most of the guys. I felt like I was going to be good. Alexander was totally in agreement with then-Alabama coach Gene Stallings to redshirt him as a true freshman. Even the next season in 1996 when he finally got chances to play, the moments were fleeting. Stallings, in the final season of his storied 39-year coaching career, was old school and simply didn’t believe most true freshmen or redshirt freshmen should get anything more than token minutes here and there. Now, when a college head coach such as Purdue’s Jeff Brohm lands a talent like Moore, the state of Kentucky’s 2017 Gatorade Player of the Year at Louisville’s Trinity High, you give him an immediate shot at playing time. Moore didn’t disappoint. Starting with a school-record 313 all-purpose yards in the season-opener against Northwestern, Moore quickly became a weapon just as Brohm expected. Because Moore works with the same intensity every day and has adapted flawlessly to drawing more attention, on and off the field. All of Moore’s physical attributes – his 4.33 40-yard speed and his incredible leg strength that allows him to squat 600 pounds – were on display against Ohio State. Purdue was 3-3 after an 0-3 start when they welcomed the 7-0 Buckeyes and proceeded with a 29-point win that eventually played a major factor in keeping Ohio State out of the College Football Playoff. On the Boilermakers’ first offensive play, the one that caught Alexander’s eye, Moore received a short pass and made four Ohio State tackles miss for a 23-yard gain. Moore’s last catch of the day was a 43-yard fourth-quarter touchdown in which he shook off a tackler that appeared to have him stopped near the sideline. Moore had seven catches for 90 yards in the first half including a 9-yard touchdown with 27 seconds left before halftime for a momentum-grabbing 14-3 lead at the break. He added five receptions for 80 yards and a touchdown in the second half. He celebrated the win by staying awake until 3 a.m. before the game tape was e-mailed to him so he could watch it and grade himself. Moore also had 12 catches for 141 yards and two touchdowns in a regular-season ending win over Indiana that gave Purdue six wins and a bowl bid. Moore cited Ohio State and Indiana as his biggest games of the year. Before the Music City Bowl, Auburn coach Gus Malzahn called Moore “one of best players in college football.” Moore was one of the bright spots in his team’s loss to the Tigers when he had 11 receptions for 94 yards and scored one of the Boilermakers’ two touchdowns on a seven-yard run. As great a season as Moore experienced, he understands it’s only the beginning. Clemson head coach Dabo Swinney is a nice guy who faces hard decisions. When Swinney makes any lineup change, it’s done with the understanding no starting job is sacred. There’s no entitlement in the Tigers’ program. It was never more apparent this season when Swinney promoted true freshman quarterback Trevor Lawrence to starter, supplanting returning starter and 2017 ACC title game MVP Kelly Bryant after Clemson’s 4-0 start. In the first four games, Bryant led the offense to seven scores (five touchdowns and two field goals) in 20 possessions. Lawrence came off the bench and guided the offense to 16 scores (13 touchdowns, three field goals) in 23 possessions. The stats didn’t lie then, and they certainly don’t now. Lawrence just finished an 11-0 season as a starter with being named the Most Valuable Offensive Player in Clemson’s 44-16 win over Alabama in the College Football Playoff National Championship Game, which gave Clemson a 15-0 record and its second national title in the last three years. Lawrence’s remarkably consistent, poised performances during the regular season is why he’s the clear-cut winner of the FWAA’s Shaun Alexander National Freshman of the Year Award. Lawrence embodies the eight traits – Talent, Character, Ambassador, Legend, Faith, Passion, Focus, Leader – inscribed on the gold coin he received as the Alexander winner. One quality that has served Lawrence well and kept him level-headed in his meteoric rise to stardom is faith. Lawrence, who turned 19 years old in October, has completed 239-of-365 passes for 2,933 yards, 27 touchdowns and four interceptions. Swinney is running out of words to describe his chill 6-6, 215-pound signal-caller, who just a year ago was ranked as the nation’s No. 2 high school quarterback at Cartersville (Ga.) High. “What you see is who he is,” Swinney said. “Trevor is poised, he’s polished, he doesn’t get rattled. He’s accurate, athletic, can see the field. He’s got a gift of an arm. He’s got a rare confidence and focus. Just has always been really locked in on himself and who he is and not worried about things he doesn’t control. When Bryant, a graduate senior, announced that he was transferring just days after Lawrence was named the starter (eventually settling on Missouri), it was an unexpected occurrence that could have unsettled a Clemson team seeking a fourth straight trip to the College Football Playoffs. But it didn’t because of the way Lawrence handled it. From the get-go, Lawrence has impressed Clemson’s veterans. The only thing that initially surprised the Clemson coaching staff about Lawrence is that he was more advanced than they anticipated. As the season progressed, Lawrence, who wears the number 16 in honor of Peyton Manning because he was his favorite player, earned rave reviews from opposing head coaches. Duke coach David Cutcliffe, who tutored both Peyton and Eli Manning in college in his earlier coaching stops at Tennessee and Ole Miss, was suitably impressed with Lawrence. Boston College coach Steve Addazio was just as wowed by Lawrence, who passed for 245 yards and a touchdown and ran for another score in the Tigers’ 27-7 November road win over the Eagles. With Lawrence’s final challenge against Alabama, Lawrence has a chance to become the first true freshman to lead his team to a national title since Oklahoma’s Jamelle Holieway in 1985. “He’s very instinctive in terms of making the reads he needs to make, and he doesn’t make a lot of mistakes where he wants to throw the ball,” Alabama coach Nick Saban said of Lawrence. “He’s done a good job of reading the defense and taking what the defense gives him. The fact Lawrence is facing Alabama in the championship game makes the first FWAA Shaun Alexander National Freshman of the Year Award even more special for the award’s Crimson Tide namesake. “Alabama playing against Dabo Swinney-led Clemson will always be special because of how much the ’Bama family loves Dabo,” Alexander said of Swinney, a member of the 1992 Alabama national championship team and later an assistant coach with the Crimson Tide. ”But Trevor, being the first (Shaun Alexander National Freshman of the Year) winner who’s coached by a ’Bama national champion like Dabo going against Alabama for all the marbles has just sweetened the pot. SAN JOSE, Calif. — The 18th annual Football Writers Association of America Freshman All-America Team features five players taking part in tonight’s College Football Playoff National Championship at Levi’s Stadium in Santa Clara, Calif., and includes Clemson starting quarterback Trevor Lawrence and Alabama starting cornerback Patrick Surtain II. The Southeastern Conference leads all conferences with six total selections, led by Georgia, which led all schools with three: offensive linemen Cade Mays and Isaiah Wilson and defensive lineman Jordon Davis. The Big 12 was second with five, followed by the Big Ten with four. All 10 FBS conferences and two independents are represented on the team. Heading into tonight’s National Championship, Lawrence has posted one of the best regular seasons by a true freshman quarterback in history. Lawrence, a highly-touted early enrollee, played in the Tigers’ first four games before taking over as the starter. The Cartersville, Ga., product has thrown for 2,933 yards and 27 touchdowns and only four interceptions while averaging 12.3 yards per completion. Clemson’s offense is just 293 yards shy of breaking its own ACC record of 7,718 total yards set in 2015. The Tigers are averaging 530.4 total yards and 44.3 points per game. Lawrence has completed 65 percent of his passes. 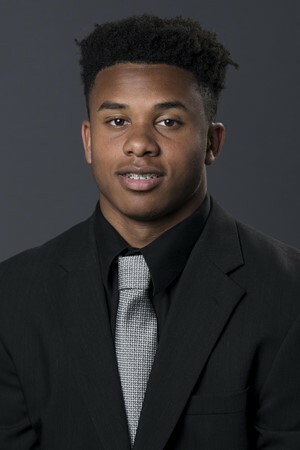 Purdue’s Rondale Moore, among two Freshman All-Americans to be named to the FWAA’s All-America Team last month, leads the FBS with 114 receptions, the second-most in a season by a Big Ten player, and led the conference with 1,258 yards and 12 receiving touchdowns. Including his special teams yardage, Moore led the conference in all-purpose yards with 2,215, fourth nationally. In his debut, Moore set the Purdue single-game record with 313 all-purpose yards against Northwestern on Aug. 30, gaining 79 rushing yards, 109 receiving yards and 125 kickoff return yards. Kicker Andre Szmyt of Syracuse was also a first-team FWAA All-America selection. He led the nation in scoring with 151 points, making 30 of 34 field goal attempts – including 3-for-3 beyond 50 yards – and all 61 extra-point attempts. Szmyt’s teammate, safety Andre Cisco, among the national leaders with seven interceptions, gives the Orange a pair of players on the team. Alabama is the only other school with teammates honored, as wide receiver Jaylen Waddle was selected to the team. Josh Heupel, who coached UCF to a 13-0 regular season and the American Athletic Conference title, is the First-Year Coach of the Year. The 13-person panel of nationally-prominent college football experts represented each of the FBS conferences along with independents in the selecting the team. Both true freshmen (18 players) and redshirt freshmen (14 players) were considered for the team and are so noted on the list below. • QB Trevor Lawrence Clemson 6-6, 215 Cartersville, Ga.
• QB Adrian Martinez Nebraska 6-2, 220 Fresno, Calif.
• RB Jermar Jefferson Oregon State 5-11, 211 Harbor City, Calif.
RB Anthony McFarland Maryland 5-8, 193 Hyattsville, Md. • WR Rondale Moore Purdue 5-9, 175 New Albany, Ind. • WR Jayden Reed Western Michigan 6-0, 170 Aurora, Ill.
• OL Trace Clopton Southern Miss 6-2, 290 Brookhaven, Miss. OL Keegan Cryder Wyoming 6-4, 291 Littleton, Colo.
OL Creed Humphrey Oklahoma 6-5, 325 Shawnee, Okla.
• OL Cade Mays Georgia 6-6, 318 Knoxville, Tenn.
OL Isaiah Wilson Georgia 6-7, 340 Brooklyn, N.Y.
• DL Jordan Davis Georgia 6-6, 320 Charlotte, N.C.
DL Juwuan Jones WKU 6-3, 270 Sugar Hill, Ga.
• DL Austin Lewis Liberty 6-6, 230 Jonesborough, Tenn.
LB Zaven Collins Tulsa 6-4, 250 Hominy, Okla.
• LB Merlin Robertson Arizona State 6-3, 235 Gardena, Calif.
• DB Andre Cisco Syracuse 6-0, 199 Valley Stream, N.Y.
• DB Patrick Surtain II Alabama 6-2, 202 Plantation, Fla.
• DB Bryce Thompson Tennessee 5-11, 180 Irmo, S.C.
P Clayton Howell Appalachian State 6-0, 183 High Point, N.C.
K Andre Szmyt Syracuse 6-1, 195 Vernon Hills, Ill.
KR K.J. Hamler Penn State (5-9, 173 Pontiac, Mich.
PR Marcus Hayes New Mexico 6-0, 199 Rockford, Ill.
AP Pooka Williams Jr. Kansas 5-10, 170 Marrero, La. Mallory Rosetta, a freshman at Texas Tech University, was named the 22tst winner of the Volney Meece Scholarship on Monday. 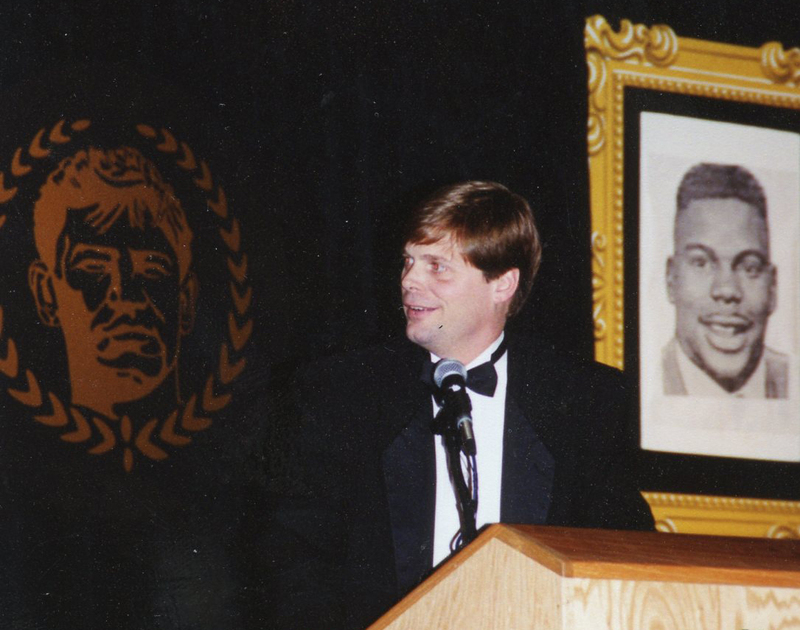 The scholarship is awarded annually by the Football Writers Association of America and named for the late Volney Meece. Meece served 22 years as the FWAA’s executive director and was the organization’s president in 1971. The 19-year-old Rosetta is the daughter of long-time FWAA member Randy Rosetta. Mallory compiled an impressive list of academic and extracurricular achievements during high school at the Parkview Baptist School in Baton Rouge, LA. She maintained a 3.918 GPA while also being involved in various school and church activities. She has continued that success during her first semester at Texas Tech. Majoring in public relations, she compiled a 3.6 GPA and was named a features writer for the student newspaper. At Parkview Baptist, she was president of the honor society and drama club, secretary of the student council and a member of the Louisiana all-state choir three years. 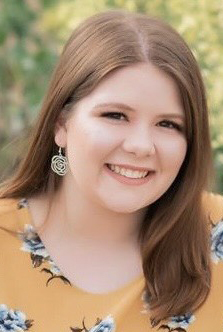 Mallory served as a ministry mentor for middle school students at Istrouma Baptist Church and volunteered at the Greater Baton Rouge Food Bank and American Heart Association. Chris Vannini of The Athletic and Dennis Dodd of CBSSports.com will be named co-winners of the FWAA’s Beat Writer of the Year Award on Monday. The following is a profile of Dodd. 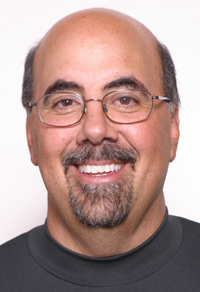 For a profile of Dodd, CLICK HERE. Personal: Claimed FWAA Best Writing Game Story HM (2018) and FWAA Best Writing Feature Story HM (2018). I also won Best Sports Story when working at The State News- Michigan State student newspaper (2011)…I have been married to wife Gabi and since 2012…Dogs and pro wrestling are my passions. You will see both subjects all over my social media accounts. My wife, a dog trainer on the side, has worked at various animal shelters. We always have different dogs coming in and out of the house, along with the ones we own. I am also a pro wrestling fan, watching WWF/E since I was a kid. Writing about the transition ex-football players make to become pro wrestlers was a very fun story to do, combining two of my passions. Mentors: I have to start with the various editors at The State News. When I was hired as an intern. I had very little journalism experience. I was writing alongside high school journalism all-stars. My early stories were critiqued heavily by the editors. They helped me figure things out. I owe my career foundation to the people at The State News: Joey Nowak, Julie Baker, Kris Turner, Cash Kruth, Matt Bishop, professional adviser Omar Sofradzija and others. The standard at that paper put in place by the students ahead of me was so high, winning a Pacemaker Award every year I was there, and I hoped to keep up that standard when I became an editor as a senior. Even after graduation, Omar was always a sounding board for me. Jason Beck from MLB.com became another mentor when I worked alongside him covering the Detroit Tigers in 2011. 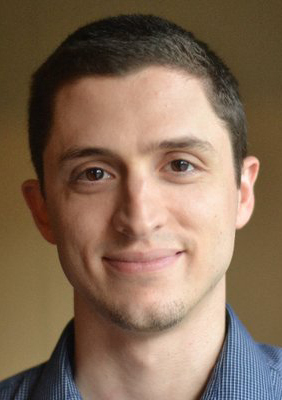 Pete Roussel, a former college football coach, hired me at CoachingSearch.com. Although he didn’t have a writing background, he taught me how to simplify subjects in a concise matter and get to the point and make the point. All of these people helped me get where I am today. Most Rewarding Stories: Writing about the families honored on UAB’s children’s hospital jerseys was very meaningful. Each player was paired with a current or former patient. Some of the names were of children who had passed. Talking to Tracey Thompson, whose son “Jack-Jack” was honored on the quarterback’s jersey, she explained that you miss hearing your child’s name after they die. People don’t bring it up to you, for fear of upsetting you, but the silence makes their lives feel insignificant. So the fact that UAB used his name, especially in such a prominent position with the QB, was honoring Jack-Jack in a way where people would never forget him. I hoped my story had the same effect for those families. On a less serious topic, I pushed hard to write a story on how football players become WWE wrestlers. It took months to complete because I had to work to convince WWE to let an outlet they’d never heard of speak with active wrestlers, who were vital to the story. I also had to convince editors it was worth running during the season. But several events happened during the season to make it feel timely, and it turned out to be a hit with readers. It was a niche topic with a unique angle, but it worked. Best piece of advice: When I was a college student at Michigan State, I was grappling with the time commitment of journalism (how it takes away from having a personal life) to go along with the declining state of the industry. I was enjoying college life as one does, but when I joined The State News as a sophomore, time with friends outside the paper decreased. I e-mailed Terry Foster, a Detroit News columnist whose radio show I listened to, and I asked about that balance and sacrifice. He responded with this: “If you like journalism, don’t do it. If you love it, then come into the club. You need passion to get through the rough days.” Ten years later, I still have that e-mail printed out, and I still think about that advice every day. What has changed most in the journalism profession? I can really only speak for the last 10 years, but even so, I’ve experienced a big change on the print side. When I started at The State News as a sophomore, our paper had two eight-page sections every day. By the time I became sports editor as a senior, we only had one section, sometimes at six pages. The quick decline of print advertising took its toll. But I was an early adopter of Twitter in 2009. It was evident then how valuable it could be as a tool. Our sports account at The State News became a must-follow when I was the editor, like when Tom Izzo flirted with the Cleveland Cavaliers job in summer 2010. We had updates throughout the day, photos from the airport, photos from rallies and other news. That wasn’t normal at the time. Professional reporters covering Michigan State sports used to rib me over my constant Twitter usage. Now they are on it just as much as I am. Every job I have gotten has come in large part because of Twitter, whether that was finding a job opening or someone else finding me. Stewart Mandel and Bruce Feldman discovered my work at CoachingSearch.com through Twitter, and that eventually led to Mandel bringing me to The Athletic. Best Interview: One of the interviews I’m most proud of was with Ohio University Football Coach Frank Solich this past August. I did a ton of research before the interview, and a colleague tipped me off to something about a class. I asked him an obscure question about being in a class taught by Tom Osborne when he was a Nebraska student-athlete, and he brought up that he nearly went into the FBI. I followed up on that a few times and got more details, which became the lead of the story. After the interview, an Ohio communications staffer told me that he never talks about the FBI topic with anyone, so the fact I found my way into the topic and got him to open up about it was encouraging. I was also told before the interview that he wouldn’t talk about Nebraska and his firing there, but I was able to ask numerous questions in ways that invited him to open up about it in a comfortable way. I got the important insight the story needed. I’d consider that one of my best interviews. Editor’s Note: Dave Plati, a long-time FWAA member, will receive the association’s Lifetime Achievement Award at the annual FWAA Awards Breakfast on Jan. 7 at the San Jose Marriott prior to the College Football Playoff National Championship Game. BOULDER, Colo. — He has worked for six athletic directors, eight head football coaches and seven men’s basketball coaches. He has overseen national championship seasons in four sports and shepherded the campaigns for a long list of national award winners, including a Heisman Trophy, two Thorpe awards, two Butkus awards, a Mackey winner and literally dozens of football All-Americans. He was also recently selected for the national CoSIDA Hall of Fame, making his career one that has become a standard of the industry. But, as he closes in on wrapping up his fourth decade at the same school, Colorado’s David Plati still approaches his job with the same goals every day. Take care of his student-athletes, coaches and the university by making sure they get the best possible representation in every manner available. It has produced a career that has earned him legendary status among coaches and athletes, as well as his peers and those who cover the Buffaloes. 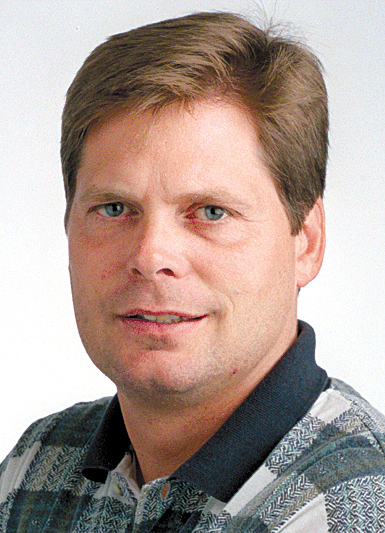 Plati, 58, was named the 13th full-time sports information director in CU history on July 24, 1984, after serving for three years as the assistant SID. The youngest SID in the nation at the time of his hiring, he previously worked as a student assistant and statistician after coming to CU as a freshman in 1978. His primary responsibilities are with the football and men’s golf programs, though he oversees the sports information efforts for all sports, and at one time or another he has personally handled nine sports during his CU career. He has worked or covered more than 2,150 CU events, including 455 football games heading into the 2018-19 school year. Of those 455, he worked 410 in a row, a stretch that ended in 2017 due to a minor health issue. Through those years and events, he left an indelible impression on coaches and student-athletes. Plati also always earned the trust of his coaches — in good times and in bad. Throughout his career, Plati has also earned a reputation for tutoring and preparing young assistants for professional careers. Dozens of his former students and assistants have gone on to high-profile jobs in professional and collegiate sports. Plati’s peers in the business have also always accorded him great respect. But Plati has never been one to seek the spotlight or accolades.